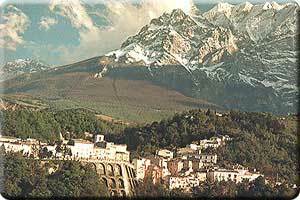 During its March 20th session the Municipality of Castelli (in the Abruzzi region) has cancelled a biomass power plant project strongly opposed by a regional team of Mountain Wilderness Italy. From the beginning of the project Mountain Wilderness members have been convinced to do the right thing by siding with the citizens of Castelli and in particular with farmers who practice biological agriculture, protecting at the same time the well-being of the local fauna such as the chamois. Mario Marano Viola said that “The successful demonstration we organized on October 13th, 2013, together with the Committee of the Association “La Nostra Terra” has produced this important result which marks a turning point in the environmental policies concerning the Apennines in Abruzzo. From now on, municipal administrators will have to take into account requests for environmental protection invoked by citizens and environmental associations which carry the same beliefs as Mountain Wilderness”.